The Centre is encouraging online applications for the next Haj pilgrimage so that people can get an opportunity with complete transparency, Minority Affairs Minister Mukhtar Abbas Naqvi said on 24 October. Naqvi, who inaugurated a meeting of Haj Committee of India and states/UTs Haj committees at the Haj House in south Mumbai this morning, said during this year's Haj pilgrimage, 45,843 people applied online, which was about 11% of total applications received from across the nation. Maharashtra was at top place regarding online applications for Haj in 2016 with 10,960 online applications, Naqvi said. Altogether, 9,257 online applications were received from Kerala, 5,407 from Uttar Pradesh, 2,983 from Telangana, 2,426 from Jammu and Kashmir and 2,425 online applications were received from Gujarat, he said. "We have been making efforts to make the process of online application simple and easy so that more people can apply online for next Haj pilgrimage," he said. Altogether 99,903 people went to Saudi Arabia for Haj from 21 embarkation points across India through Haj Committee of India this year, he said. About 36,000 Haj pilgrims also proceeded for Haj through private tour operators, he added. 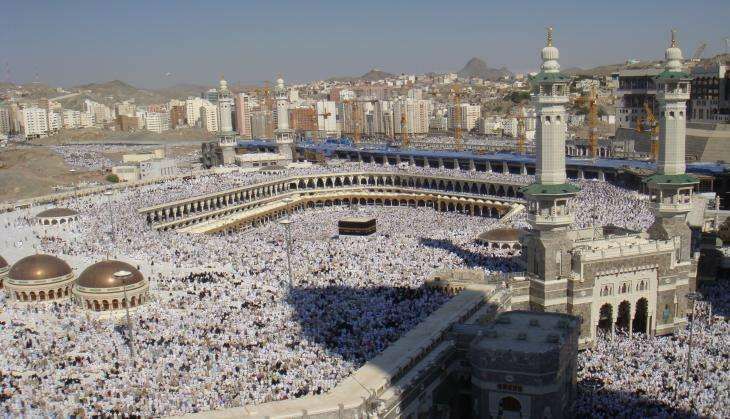 During the last Haj, Ministry of Minority Affairs had sent a team of officials to two holy cities (Mecca and Medina) in Saudi Arabia to take stock of arrangements for the pilgrims, he said. "The Centre is committed to provide best facilities to pilgrims and making their pilgrimage comfortable. We have written to Chief Ministers of all the states and MPs last week to give suggestions regarding Haj," he said. The Ministry has already started preparations to make arrangements for the next Haj, he said. Haj Committee of India and state Haj committees should chalk out a strategy to ensure that pilgrims do not face any problems at Mecca and Medina, he said. "The Ministry has been preparing a 10-15 minutes duration film which will provide all the necessary information to Haj pilgrims. This film will be shown to pilgrims at training camps to be organised for pilgrims. Our Ministry has been making efforts to ensure smooth Haj pilgrimage next time also," he added. The Saudi Arabian government had cooperated a lot which ensured smooth Haj 2016, he said.